This fascinating discovery links up millions of years of evolution that shaped cetacean species like the blue whale and dolphins. 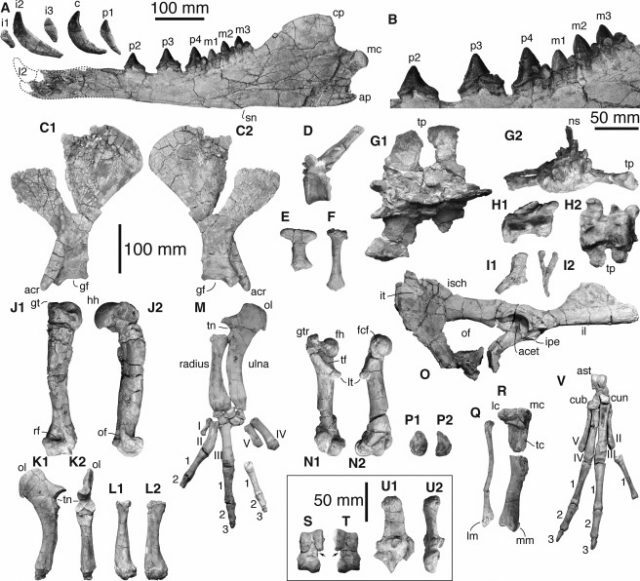 The order Cetacea also includes archaic dog-like animals, classified as Pakicetus, that lived exclusively on land. 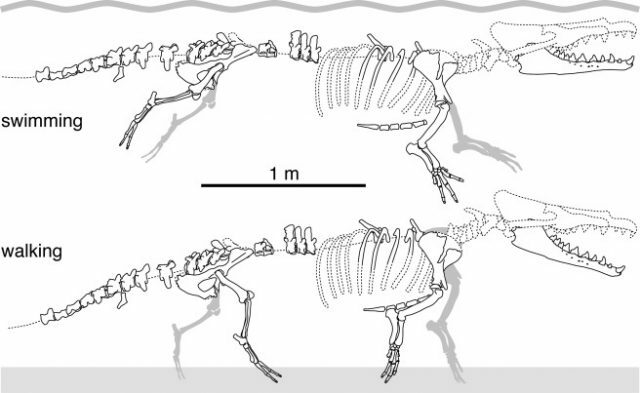 With precise analysis, the team of palaeontologists was able to conclude that this Eocene-era whale “had little hooves on its fingers and toes,” suggesting that both its forelimbs and hind limbs were still very much in use. Its strong tail and webbed feet, on the other hand, prove its natural predisposition to swimming. This trait can be found today among sea otters and beavers, who are also capable of walking on land. 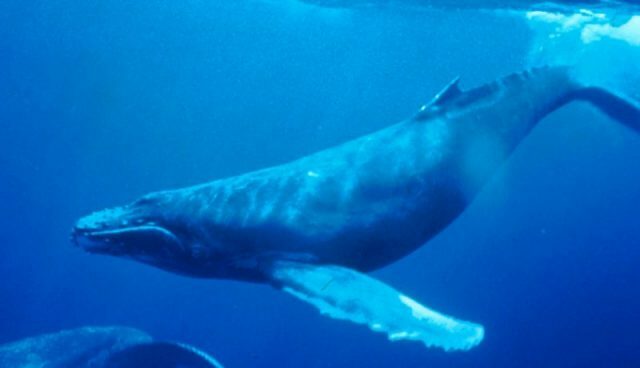 Due to the missing last few tail vertebrae, it remains impossible to determine whether the whale featured a large paddle,similar to that of its modern descendants, some of whom are capable of achieving a staggering speed of more than 30 mph underwater. 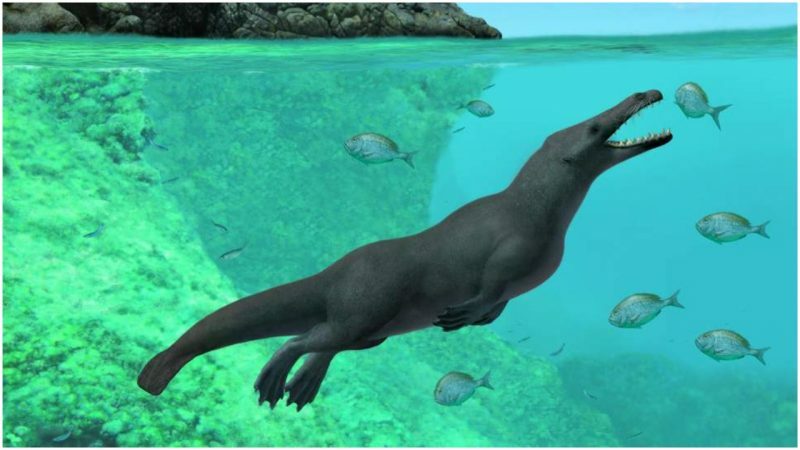 The fossil also revealed that this species had sharp teeth, as well as a long snout, suggesting its diet was based primarily on fish and crustaceans. The excavation began in 2011 when Mario Urbina of the Natural History Museum of Peru drew the attention of the international palaeontology community to the coastal desert of southern Peru ‘s Playa Media Luna as a region potentially rich with fossils. A team of experts from Peru, France, Italy, the Netherlands, and Belgium was assembled and their work resulted in this groundbreaking discovery. 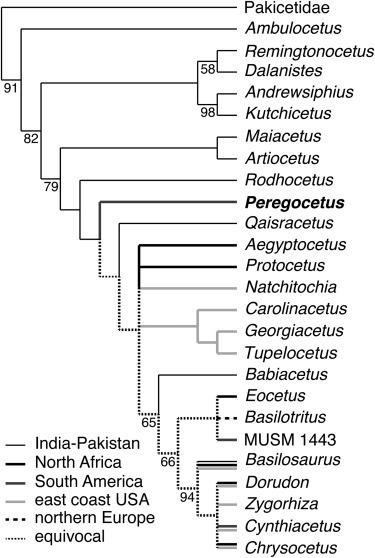 However, what makes this discovery uniquely valuable is the fact that the fossil confirms the theory of migration of these whale-like creatures from areas like India and Pakistan, from where their land-based ancestors originated more than 50 million years ago. Therefore, the fossil was given a suitable name ― Peregocetus pacificus ― literally meaning “the traveling whale that reached the Pacific”. Furthermore, the missing link that confirms this theory also confirms that the ancient animal migrated at one point through the South Pacific and inhabited both the Americas, as well as the northern and western coast of the African continent, where similar fossils have been found. They were most probably led by the westward surface currents, and since the continents were much closer to each other at the time, their epic journey was possible despite them still being very much dependant on land, where they most probably mated and gave birth to their young. Correction: In the original version of the article we misstated 50,000 million years ago The correct number is 50 million years ago.